Airstream is one of the longest lasting, most enduring camper brands on the planet. Airstream campers have been around since the 1930s. The unique, aerodynamic shape has captured the imagination of RVers and non-RVers for decades. You will look twice if you see an Airstream camper on the road and you may even envy the person behind the wheel. Each Airstream camper that comes off the assembly tells a story for the consumer who buys it. Many Airstream owners have owned a camper, travel trailer or other RV from the company for decades. Others have purchased new, used and customized Airstream models over the years because of the design and ingenuity. Those that own Airstreams have memories that have started with a purchase of a cool camper and turned into a lifestyle choice. 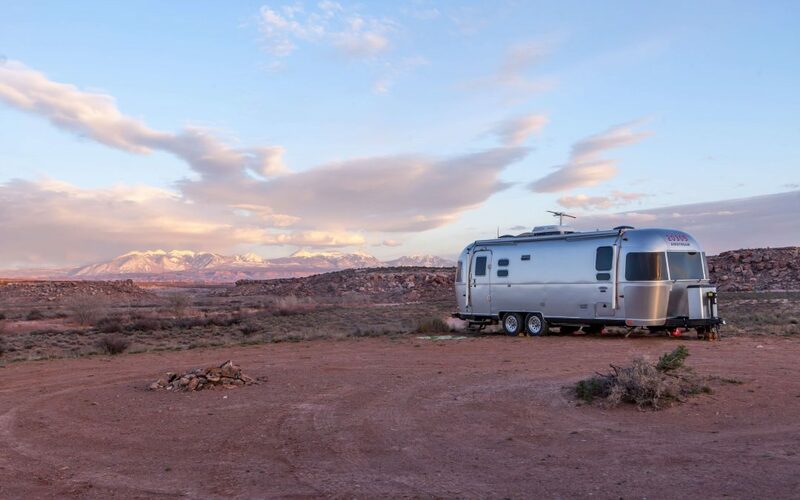 Airstream promotes a Live Riveted mentality among its owners. These are the stories and lifestyles surrounding Airstream campers. Whether they’re solo travelers, couples on the road, or families enjoying time together, Airstreamers come from all walks of life and every corner of America. Their love for travel only eclipses the love they have for Airstream. That’s what makes this particular manufacturer and line of campers different than just about anything else on the market. The only thing that comes close to Airstream when it comes to sheer fan following in the consumer industry is the VW camper. The love and following around these brands have made them iconic. This iconic RV has become so popular that people are looking for vintage Airstreams across the country to invest in for the future. Airstreams last for decades when properly maintained and repaired. They can be fully customized like other RV types and make for great full-time living accommodations for those looking to hit the road and leave their traditional home behind. When you think of RVs, many of those not involved in the industry or those who don’t own one often think of large motorhomes, VW campers, and Airstream campers. This is what comes up in their imaginations and is a true testament to the staying power of what Airstream has contributed to the RV industry. The Airstream brand is owned by Thor Industries now but is still designed, manufactured and shipped from Jackson Center, Ohio. With just about 400 employees, they’re one of the smallest RV manufacturers in America but is the oldest company in the US industry. Visit Airstream’s website for more information on these innovative and treasured campers and trailers.